Equipment: Foot target, cone, three scent articles, jump, vertical target. Optional: platform, nosework oil, distraction bowl or plate. Cues: All cues may be verbal and/or hand signals in this level. 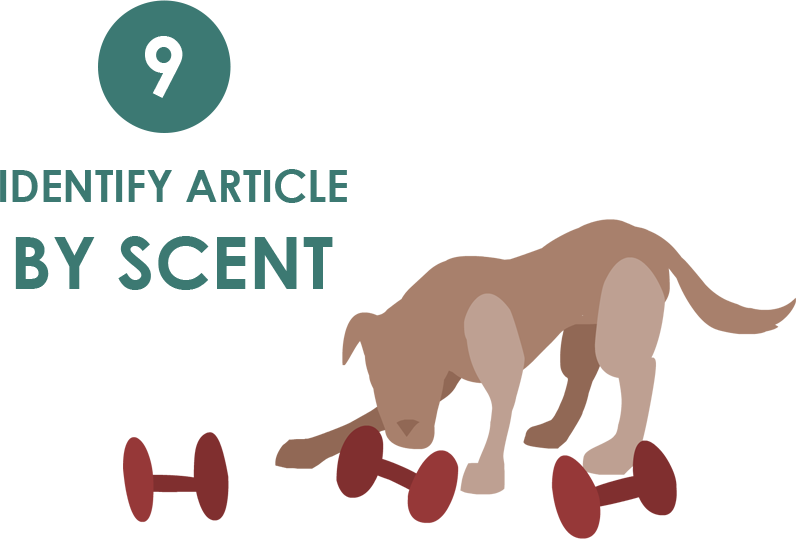 Reinforcement: One external reinforcer (food or toy) for each exercise. 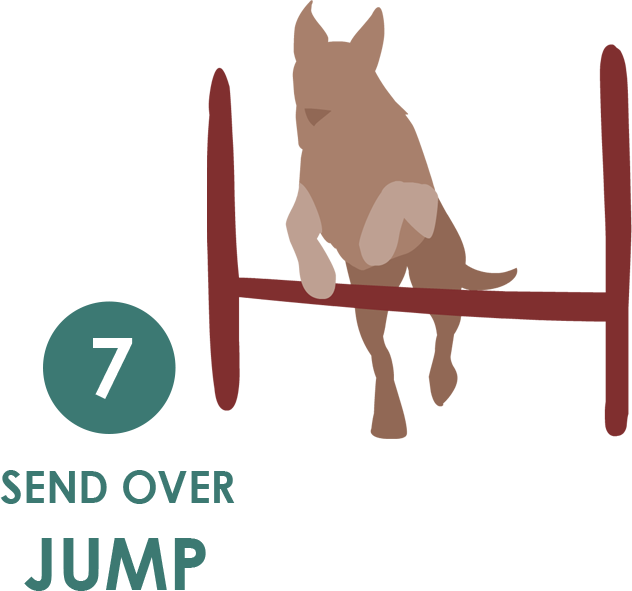 At the end of each exercise, the handler may reinforce the dog’s behavior. 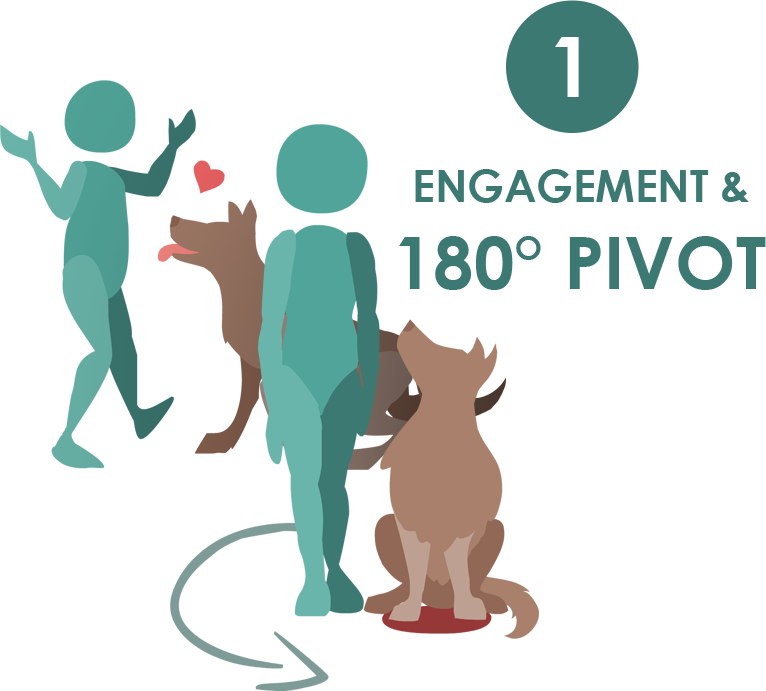 The reinforcer must be kept in a pocket (no bait bags) and out of sight while the dog is performing an exercise. 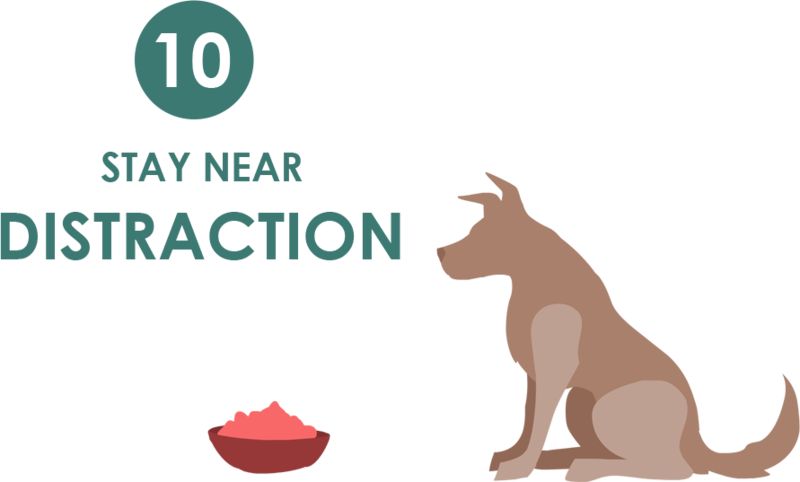 The reinforcer MUST be the same food or toy that is used in any distraction work. Food tosses do NOT count, and are allowed during the exercise when specified as an option. One reinforcer = one treat OR ball toss/toy play up to 10 seconds. Note: Dog not required to pivot 360 degrees on foot target or to stop after reaching 180 degrees on send around cone. Note: The send around cone was judged as questionable in this level due to early mark (“yes”) by handler. Engage the dog for 10 seconds without formal cues, proceed to pivot platform, pause in heel position, and then execute 180-degree pivot. Handler engages the dog for 10 seconds of playful interaction and then moves with dog to pivot platform. Handler and dog pause in heel position and then perform an 180-degree counterclockwise pivot in heel position using the pivot platform. Find heel position from 6 ft. (2 m) away (straight plus one angle). 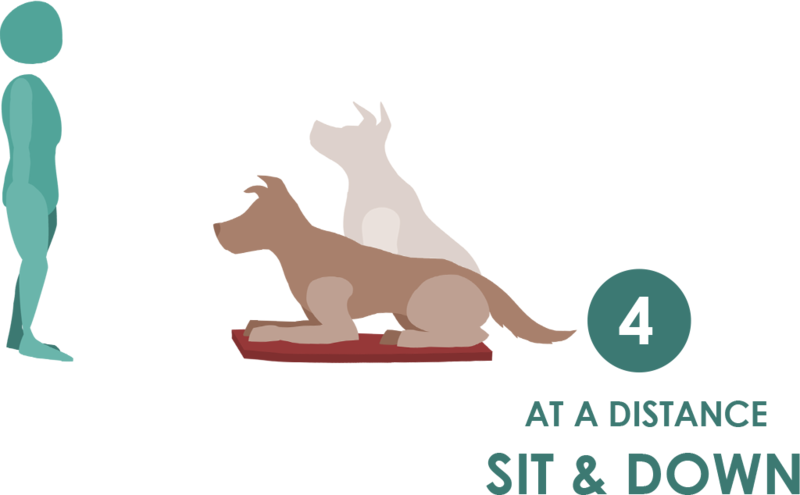 Following a cookie toss or circling a cone, the dog is expected to find heel position from straight ahead and coming in from one angle using a platform/foot target/box. Find front position from 6 ft. (2 m) away (straight plus one angle) with foot target/platform. 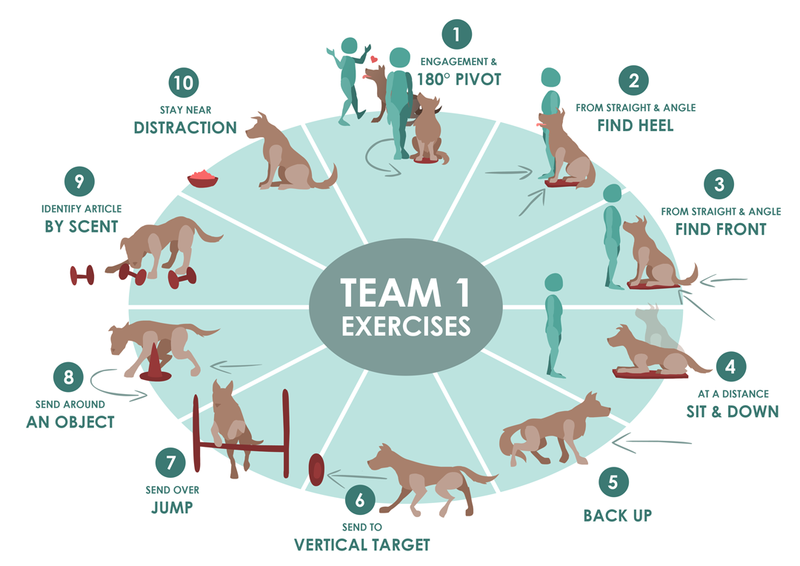 Following a cookie toss or circling a cone, the dog is expected to find front position from straight ahead and from one angle with the assistance of a platform/foot target/box. Back up minimum distance of 2 ft.
Handler cues the dog to back away 2 ft. (0.6 m). Back-up target is optional. Send dog to vertical target placed 5 ft. (1.5 m) away. Handler cues the dog to go to any vertical target placed 5 ft. (1.5 m) away. 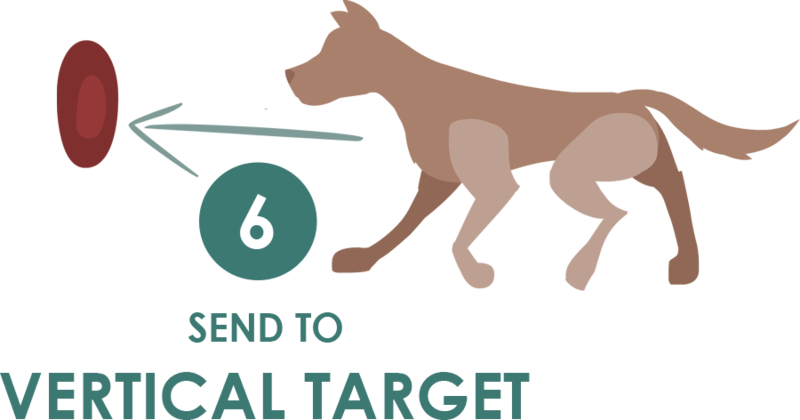 Target touch is optional but dog must approach within a half-body length of target. High jump or bar jump (height or width must be minimum of ⅓ dog’s height). 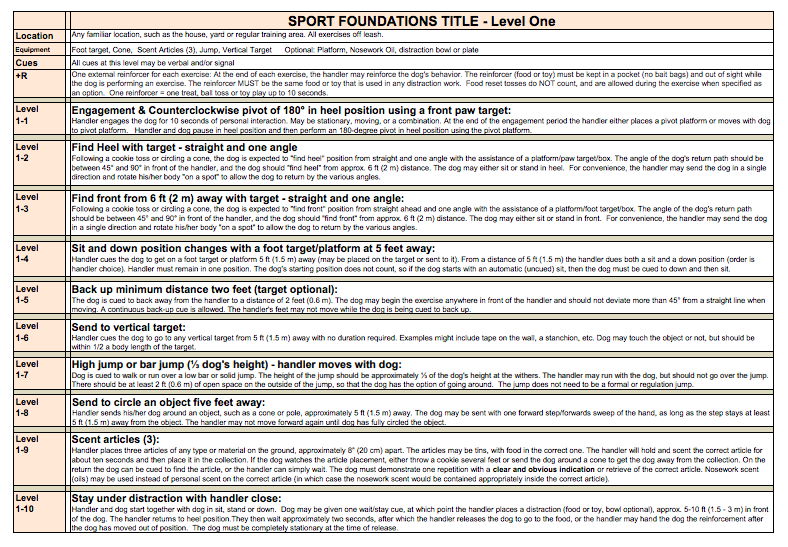 Dog is cued to walk or run over a low bar or solid jump. Handler sends the dog around an object (such as a cone or pole) placed minimum 5 ft. (1.5 m) away. Identify correct article (out of 3) by scent. Dog correctly indicates the handler’s scent (or nosework scent) from among three objects. Stay under distraction with handler close by. 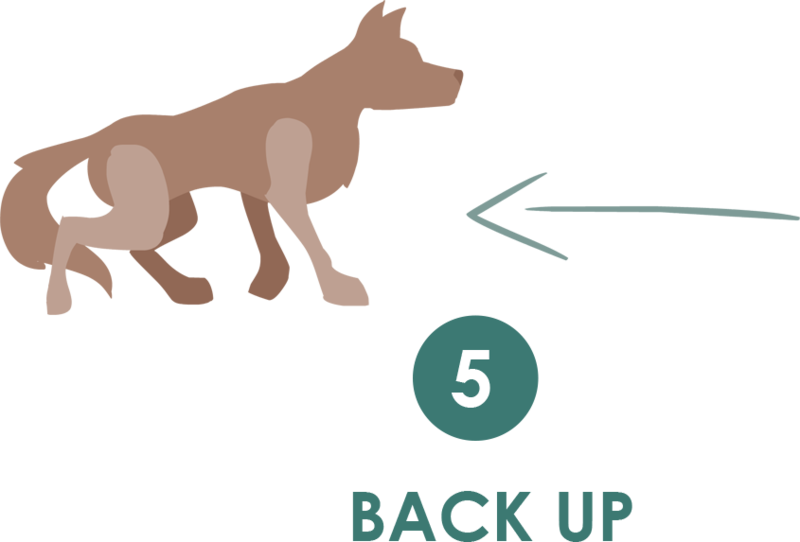 Dog demonstrates the ability to hold a stay while handler places a food or toy distraction approximately 5-10 ft. (1.5 – 3 m) in front of dog, returns to dog for two seconds and then dog moves when given a release cue.